Icon trading corporation , kolkata dealer Cofi IgnitionTransformers , Two pole transformers, TRE & TRS series up to 33 percent ED. 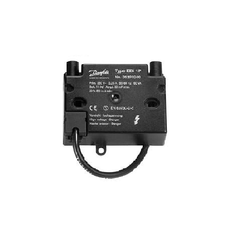 - Single pole transformers, P versions up to 33 percent ED. - Two pole and Single pole transformers with 100 percent ED. - 4 wire transformers for simultaneous ignition and flame monitoring. - Transformers with 110 Volts, primary supply. We offer the high quality of the Ignition Transformers. these are of the superior quality and comes in various including the household and the industrial one also. 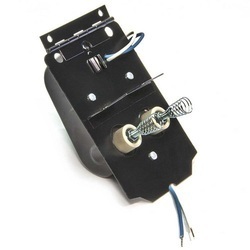 Keeping the variegated demands of customers in mind, our company offers Ignition Transformers. These Ignition Transformers are checked under various industrial standards by our skilled professionals. Minimum Order Value for the products should not be less than Rs 5.0 lac/- . Compact flame switches with built in spark generator(Ignition Transformer). Used with ionisation rods/unirod. Honeywell Satronic Burner controls for single or two stage gas/oil burners, available in electro mechanical and solid state versions with diagnostic information auxiliary devices, suitable photo/infrared/UV detectors are available. Other auxiliary equipments like oil / flow meters/oil preheaters / electronic ignition devices for gas and oil burners are also available. Quick and safe ignition of the oil/air mixture in a burner contributes to a more environmentally sound start of the burner. Ignition transformers for high-voltage ignition of gas burners and gas ignited or directly ignited oil burners. Can also be used on burners on which only one electrode is available for ignition and monitoring. Energy Combustion, Ahmadabad providing all types ofBrahma, Cofi, Honeywell, Kromschoder, Fida , Danfoss make Ignition Transformer. All model's are available in ex stock with genuine price and quality. These products are well accepted and appreciated for it price and quality offered. We are manufacturer of ignition transformers for oil and gas burners. Also we are importer of FIDA / COFI / DANFOSS / TRAFO / BRHAMA made ignition transformers. Ignition transformer are very important parts of oil / gas burners for auto firing systems. Input voltage : 220 V AC : output : 4 x 2 KV, 8 KV, 11 KV, 14 KV.